Trademarks, trade secrets and patents are different forms of intellectual property that are capable of being protected in Nigeria. However, non-professionals tend to find a few of these terms a bit confusing. A client may walk up to his attorney with an invention in his hand and say “I want to trademark this product”. Well, it is important to note that inventions are not capable of being protected as trademarks. This leads to several questions such as “what then can you trademark”? “What is a patent”? “Can trade secrets be protected and are they registrable”? I will proceed to briefly consider these concepts as this may aid one in understanding their differences. The first concept I will consider in this article will be trademarks. The Trade Marks Act 1965 of Nigeria defines a trademark as “a mark used or proposed to be used in relation to goods for the purpose of indicating, or so as to indicate, a connection in the course of trade between the goods and some person having the right either as proprietor or as registered user to use the mark whether with our without any indication of the identity of the person, and means, in relation to the certification trade mark, a mark registered or deemed to have been registered under Section 43 of this Act”. It is my view that the above definition is rather convoluted and so we will adopt the definition given by the World Intellectual Property Organisation (WIPO) which defines a trademark as a sign, logo or word that is used to identify certain goods and services as those produced or provided by a specific person or organisation. Based on the foregoing definitions, it is evident that the primary aim of a trademark is to protect a person’s goods and services. This will also prevent those who do not have the rights to a trademark from using a similar mark such that it is likely to deceive or cause confusion in the course of trade in relation to any goods in respect of which it is registered. A trademark can be a combination of colours or can be made up of single colours. It can be a word, a combination of words, numerals, drawings, abbreviations, drawings or shapes. 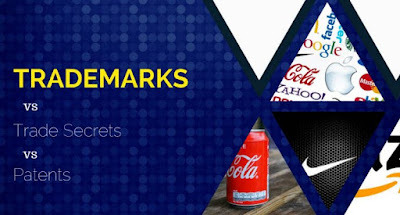 Examples of familiar trademarks include BMW, Coca-Cola, 7Up, YSL, MTN, 7/11, the Apple logo, the Shell logo etc. Regardless of whatever form or shape the trademark takes, it must be distinctive and must be capable of distinguishing the goods or services with which it is used. Thus a name that simply describes the nature of the goods and services that are offered may not constitute a valid trademark. For example, "detergent" cannot be trademarked. However, although a given trademark may not be distinctive from the outset, it may acquire distinctiveness through long and extensive use. Trademarks have multiple purposes as it enables consumers distinguish different products or services. It also serves as a marketing tool and can help the owner of the mark enhance its brand and reputation. Other than these obvious purposes, trademarks can be very valuable assets when they become well known. For example, the “Google” trademark is considered as one of the most valued trademark on the planet and is worth an estimated value of $44.3 billion. The “Microsoft” trademark is not far behind as it is valued at $42.8 billion. Thus not only can holders of these trademarks licence them to third parties who may want to be identified with the mark but the owner of the mark can equally use it to secure a credit facility from financial institutions. It is advisable to register trademarks as they are territorial rights. This means that they must be registered in each country where the proprietor would want them to enjoy protection as except a trademark is protected in a particular country, it can be freely used by third parties. Trademark protection is also usually limited to specific goods and services (unless the trademark in question is a well-known or famous trademark). This means that the same trademark can be used by different companies as long as it is used for dissimilar goods or services. The exception to this is where the mark is a well-known or famous trademark. An example of a well-known mark is "Coca-Cola". I daresay it will be difficult or impossible for an applicant to successfully register a trademark for a pair of trainers and brand them with the "Coca-Cola" logo! This is due to the fact that it is a well-known mark and no Trademarks registry will be willing to register such a trademark. By registering his trademark, the proprietor is given the exclusive rights to use the trademark to identify his goods or services and can also prevent third parties from using an identical trademark for similar goods or services. An application to register trademark must be filed with the trademarks registry at the ministry of Trade and Investment. The application must contain a clear reproduction of the sign filed for registration, including any colours, forms, or three-dimensional features. The application must also contain a list of goods or services to which the sign would apply. - it should not be identical or confusingly similar to an existing trademark. This may be determined through search and examination by the national office, or by the opposition of third parties who claim similar or identical rights. How long is a registered trademark protected for? A trademark is registered for an initial period of seven (7) years but may be renewed from time to time for a period of fourteen (14) years.